It’s been a bruising week, y’all. 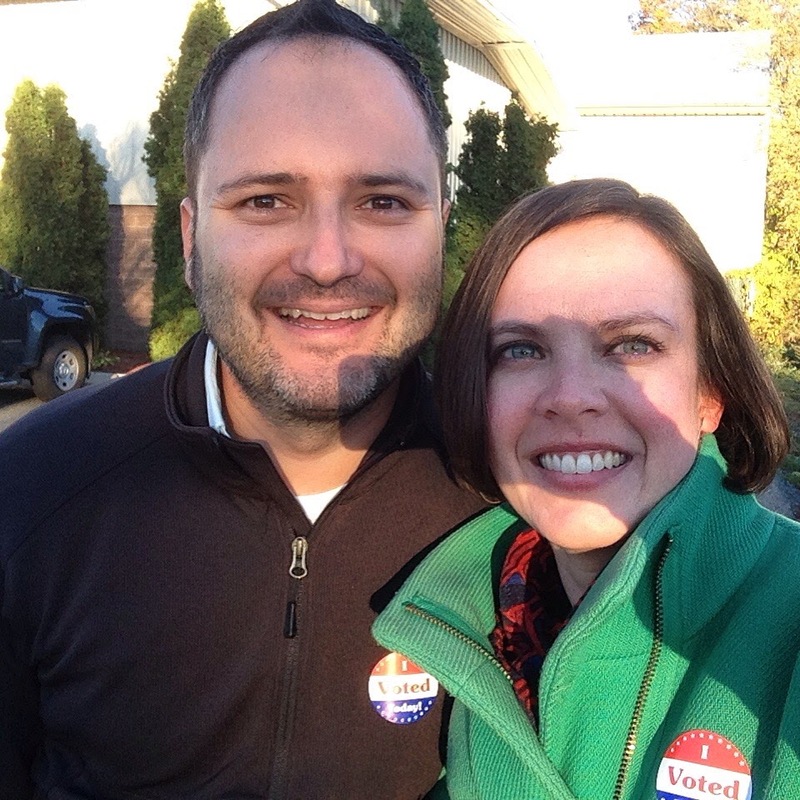 I believe in the democratic process, as I’ve written about here before, and I was glad to see many people I know – in many states and yes, at various locations on the political spectrum – exercising their right to vote. I spent a tense, hopeful day with my colleagues and a tense and increasingly worried evening with my husband, watching the news and the election returns. And then I woke up on Wednesday morning to heartbreak. I’ve never considered myself especially political, until this election cycle. I come from a deeply conservative state (I grew up in West Texas) and my political leanings have gradually shifted left over the years, but I don’t usually start conversations about them. I live in a deeply liberal state now, and I work at a place that is focused on public policy, but we are an educational institution and therefore non-partisan. We have students, faculty and staff from dozens of states and countries, who hold wildly differing views. We encourage open dialogue and respect for all beliefs; it is fundamental to our mission. And yet: I am appalled that our country has elected a man who has repeatedly made bigoted, insulting and uninformed comments about Muslims, women, immigrants, disabled people, African Americans, the LGBT community and other groups. I am shocked at the extent of the deep divisions in our country, and deeply troubled by the bitterness and hatred that have come out into the open. I don’t expect to agree politically with everyone I know or even my close friends and family members, but I am so sad that we seem to have lost the ability to have reasoned, respectful dialogue with people with whom we disagree. No candidate or party is solely responsible for this division, and it didn’t start with this election, but it has become shockingly visible, and it breaks my heart. Afterward, we filed quietly back to our offices and classrooms. At least in my office, there were tears and disbelief, venting and anger. We are asking lots of questions for which there are, at least now, very few answers. And, gradually, we are getting back to work. There is a lot to do, and I am not the person to direct any of it: I don’t even know where to start. Right now I am simply trying to listen, hug my people, check in on the ones who live too far away to hug, and take a hard look at my own life. That is a small beginning, and I know it’s not enough on its own, but we all have to start somewhere. I’ll be lighting candles, both physical and metaphorical, for peace this weekend. (Advent cannot come soon enough.) And I will be listening. If you want to have open and respectful conversations, or need a shoulder to cry on, I’m here. Everything that I have read after this election includes the same response; sadness and horror that we have gotten ourselves to this point and how did we elect this person to lead us? Where do we go from here? Well I know that I will stand and fight because not to do so is criminal in my eyes. Write letters to your elected congress and senate members, sign petitions, and attend meetings and rallys if comfortable doing so. We cannot afford to forget and we cannot afford complacency. I agree. Thank you, Chris. Thanks for sharing your thoughts. Somehow we must never give up the good fight. Lovely, kind and thoughtful words, as always, Katie. I join you in your heartbreak that the next president (I can’t bring myself to say the word “our” – at least, not yet) got to the highest office by spewing hate and bragging about sexual assault. My only comfort is in knowing that the majority of Americans didn’t ratify his rhetoric. It is small comfort, but better than nothing. As you said to me the other day: we’ll make it through. Hugs to you. 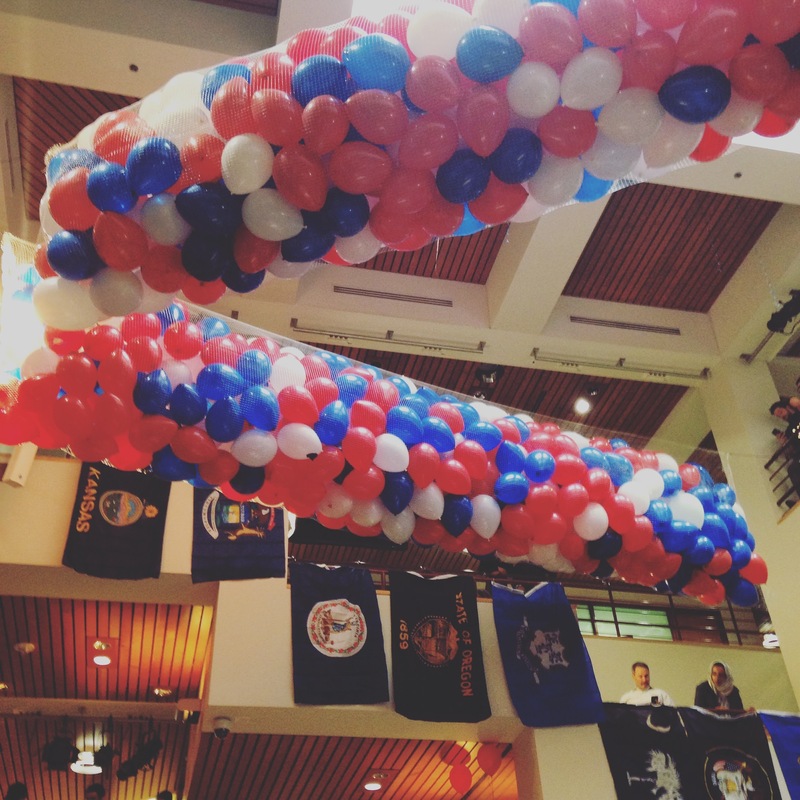 Just a question out of sheer curiosity: if HKS is indeed non-partisan (which I have actually been meaning to ask you ever since you started working there) why did you not drop the balloons to celebrate the actual election process and the right we have as Americans to vote as we choose? According to my colleagues, the watch party had emptied out by midnight, which is the traditional time to drop the balloons. They chose to wait until the community had gathered together again. Beautifully expressed, as always. Thank you.